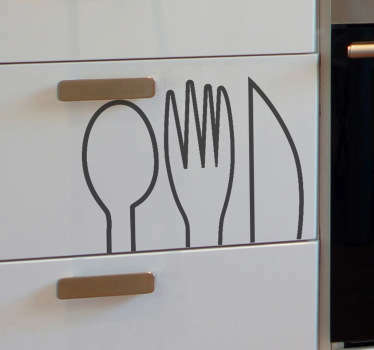 Collection of designs inspired by cookware and utensils. 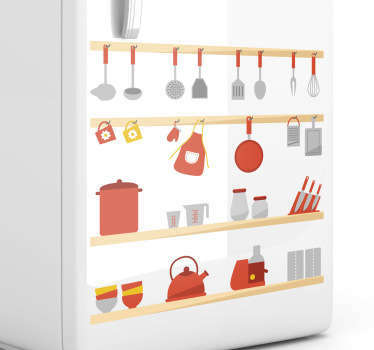 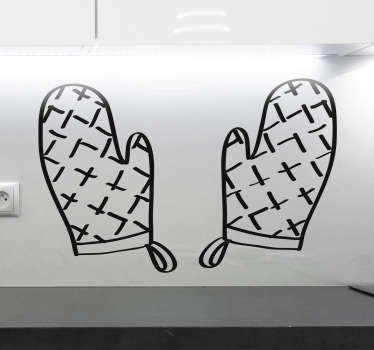 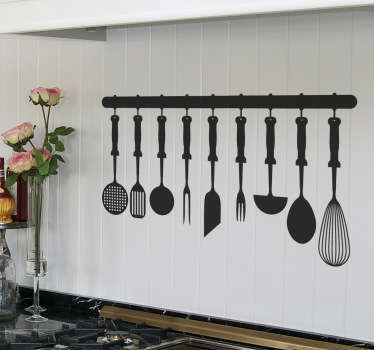 Illustrations and silhouettes of kitchenware such as knifes, spoons, forks and more. 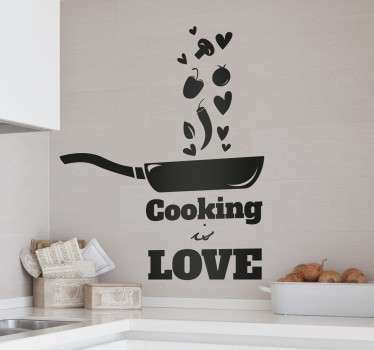 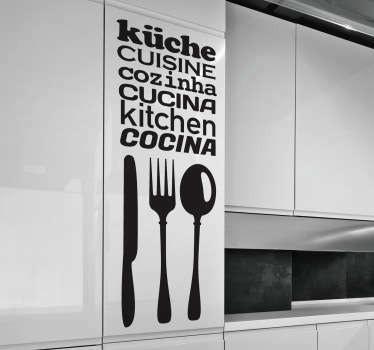 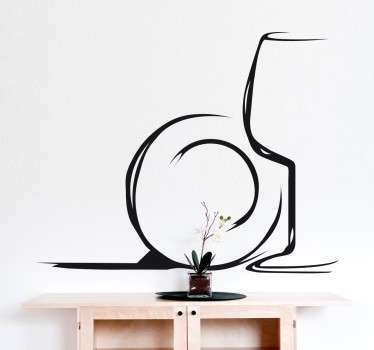 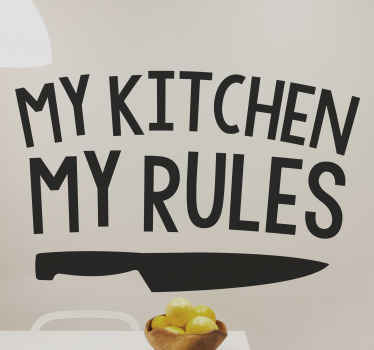 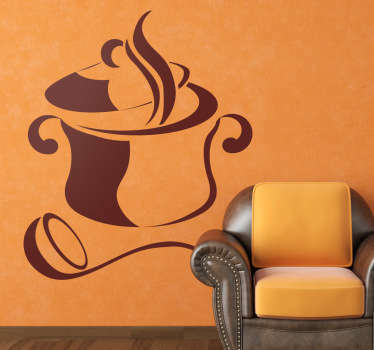 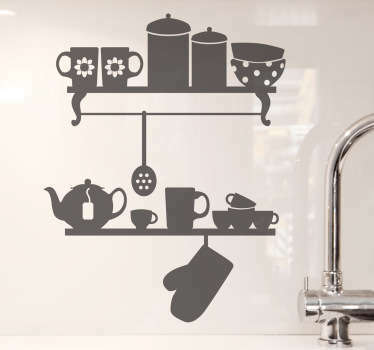 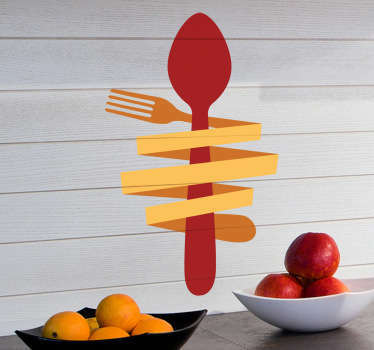 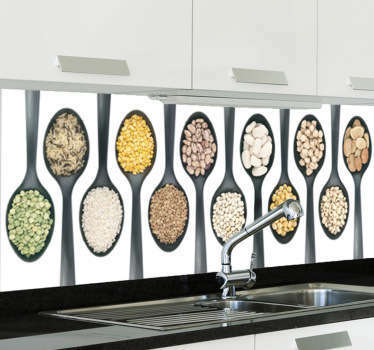 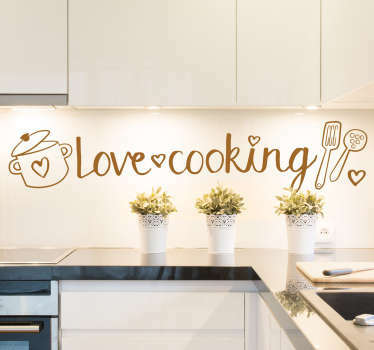 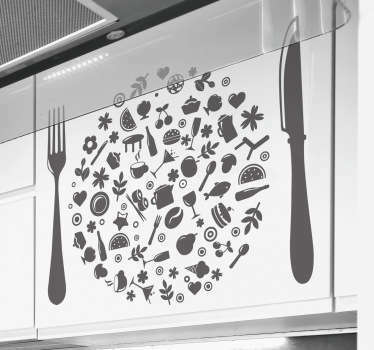 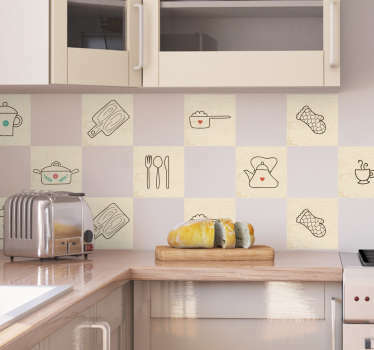 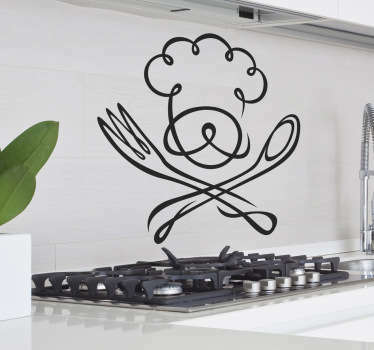 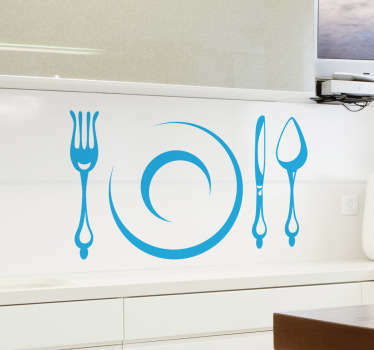 This great range of decals is ideal for decorating your kitchen at home, or even your restaurant or cafe. 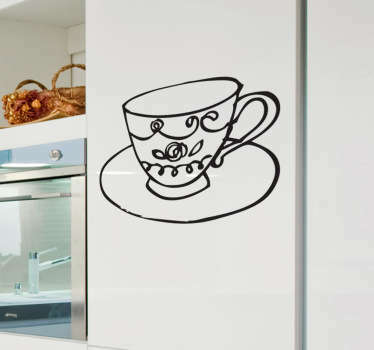 Creative designs that can give your spaces an original look instantly. 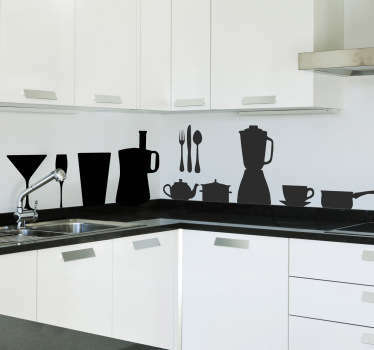 All stickers are easy to apply and remove without leaving residue behind. 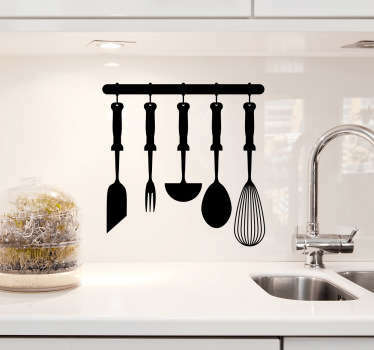 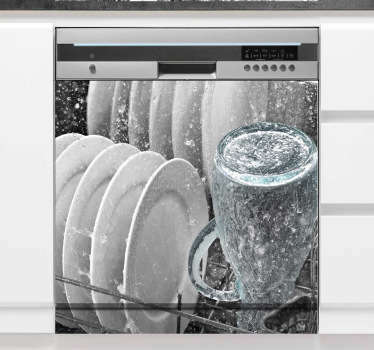 You can even choose from a selection of innovative utensil clock stickers in many different designs to suit you. 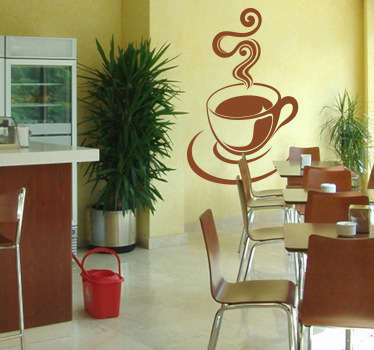 Place something different in your home or business for your guests to enjoy.